Lexmark fax machines have a variety of features--not only can you hook it up directly to the telephone wall jack, but you can hook it up to your answering machine or a computer modem. During setup, you can decide on such options as error correction, paper size, and whether to include a footer with your outgoing faxes. Plug your fax machine in to the wall outlet. Connect your telephone line from the wall jack connector on the Lexmark Fax Machine to the telephone wall jack. Connect your telephone to your fax line as a normal telephone line if you don't have a handset on your Lexmark Fax Machine. Connect the telephone line from the telephone/answering machine connection on the fax machine to the telephone line. This allows you to use the fax line a normal telephone line. Connect the telephone line from the wall jack connector on the fax machine to the telephone wall jack. Connect the telephone line from the telephone/answering machine connector on the fax machine to the answering machine or computer modem. Connect the telephone line from the answering machine or computer modem to the telephone. Press "Fax" on the control panel. Press "Options" until Edit Date/Time appears in the display window and the press "Select". Use the keypad to enter the date you want and the press "Select" again to confirm the time change. 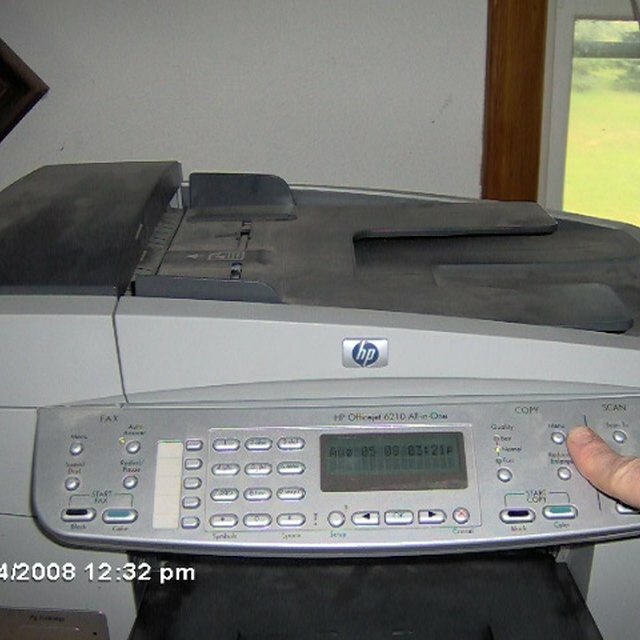 Go to the folder that holds your computer programs and select "Lexmark 4200 Series Fax Setup Utility". Click "Fax Setup Utility". Go to the Send tab. Enter your name and fax number. You can also specify the speed and quality of the print job for outgoing faxes, when to scan the document, whether to use error correction and when to print a fax usage report. Go to the Receive tab. Select if you want to add an automatic footer on each page. You can also choose to automatically size incoming faxes to fit the paper size and whether you want to forward a fax or print it. Select the Connection/Dialing tab to select the number of times you want the machine to redial the number if it does not go through on the first try. You can also select the phone line format, the dialing prefix, and whether you want a distinct ring for certain types of incoming faxes. Select the Speed Dial tab to add, create or edit the speed dial list and the Group Speed Dial tab to create a group number and name for speed dial.